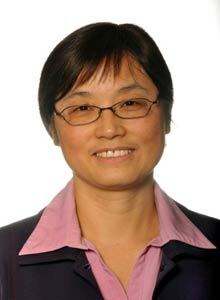 Associate Professor Su has a broad academic background in both Australia and China. She has over 20 years teaching and research experience in Biomedical Sciences and related areas. The main research focus of Associate Professor Su is on lipids, nutraceuticals and chronic disease. Her primary research interests include lipids and fatty acids, their role and metabolism in foods and body; and impacts of natural products on lifestyle related disease including obesity, diabetes, metabolic syndrome and cancer. Associate Professor Su has published a number of research papers in the international scientific journals. She has been regularly invited to present her work and chair the international conference. She is currently an executive member of the Australasian Section of American Oil Chemistry Society (AAOCS) and also serves as a reviewer for five international journals. She has supervised a number of PhD and Honours students as a principle supervisor. She has been awarded a number of national and international industrial research grants and is currently leading several research projects. Min Shi, Fatah Ahtesh, Michael Mathai, Andrew J McAinch, Xiao Q Su (2017). Effects of fermentation conditions on the potential anti-hypertensive peptides released from yogurt fermented by Lactobacillus helveticus and Flavourzyme®. International Journal of Food Science and Technology, 52(1):137-145. Abilasha Gayani Jayathilake, Paul Vincent Senior, Xiao Qun Su (2016). Krill Oil Extract Suppresses Cell Growth and Induces Apoptosis of Human Colorectal Cancer Cells. BMC Complementary and Alternative Medicine, 16:328. (11 pages). Xiao Su, Philline Tanalgo,Marcel Bustos and Crispin R. Dass (2015).The Effect of Krill Oil and n-3 Polyunsaturated Fatty Acids on Human Osteosarcoma Cell Proliferation and Migration. Curr Drug Targets, 16, 1-8. Katie J Astell, Michael L Mathai, Andrew J McAinch, Christos G Stathis and Xiao Q Su (2013). A pilot study investigating the effect of Caralluma fimbriata extract on the risk factors of metabolic syndrome in overweight and obese subjects: A randomised controlled clinical trial. Complementary Therapies in Medicine, 21 (3), 180-189. HH Sung, AJ Sinclair, PJ Meikle, N Mellett, PA Lewandowski, XQ Su (2016). Lipidemic profiles of a 30-day dietary krill oil supplementation compared with fish oil in healthy women: a randomised, cross-over study. Proceedings of the Nutrition Society of Australia, vol. 40. Melbourne, Australia. AG Jayathilake, PV Senior, XQ Su (2016). Krill Oil Extract Induces Apoptosis of Human Colorectal Cancer Cells. Proceedings of the Nutrition Society of Australia, vol. 40. Melbourne, Australia. H Sung, AJ Sinclair, P Lewandowski & XQ. Su (2015). Postprandial lipids response to krill oil supplementation in healthy women. Proceedings of the Nutrition Society of Australia, vol. 39, p46. Wellington, New Zealand. HS Sung, J Antonipillai, AJ Sinclair, XQ Su (2014). Krill oil can inhibit platelet adhesion, an ex vivo study. Australia. Proceedings of the Nutrition Society of Australia, 38, p94. Hobart, Tasmania. KJ Astell, ML Mathai XQ Su (2014). The effect of Caralluma fimbriata extract on metabolic parameters in high-fat fed wistar rats. Australia. Proceedings of the Nutrition Society of Australia, 38, p115. Hobart, Tasmania. A number of units of study from undergraduate courses in Biomedical Sciences, Biomedicine, Nursing and Midwifery. Internal funding grants from Victoria University in 2016, totalling $19,722.